Senate minority leader Chuck Schumer (D-NY) said Stacey Abrams, who was narrowly defeated in the 2018 gubernatorial race in Georgia, will give the Democratic response to President Trump's State of the Union address. 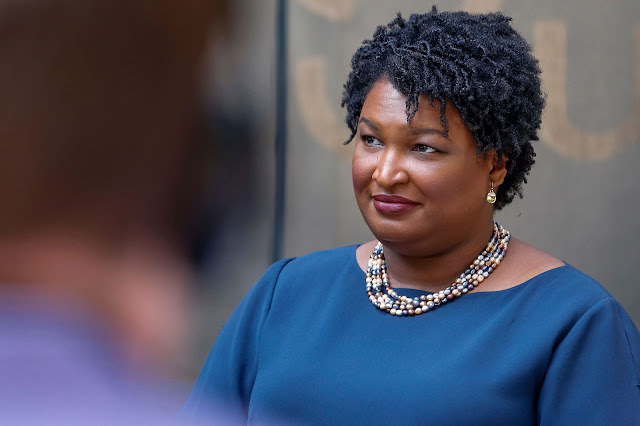 The Democratic response will give Abrams a major platform to counter the President following his address to Congress and the nation — and the speech is sure to further elevate her national profile. "Her electrifying message of courage, perseverance and hope reinvigorated our nation and our politics, and continues to inspire millions of Americans in every part of the country," House Speaker Nancy Pelosi said in a statement. "Stacey Abrams embodies the American Dream, and her powerful message of progress for all is deeply needed during this time for our country." "Stacey Abrams offers a welcome, stark contrast to President (Donald) Trump's politics of division and lack of leadership as American families are still feeling the impacts of his self-imposed shutdown," Schumer said in a statement. "Stacey Abrams is a present and future leader in this country. She is a dynamic, moral leader; she delivered results on the issues that matter most to Americans; and she tirelessly pursues fairness and justice for everyone in her state." At a moment when our nation needs to hear from leaders who can unite for a common purpose, I am honored to be delivering the Democratic State of the Union response.